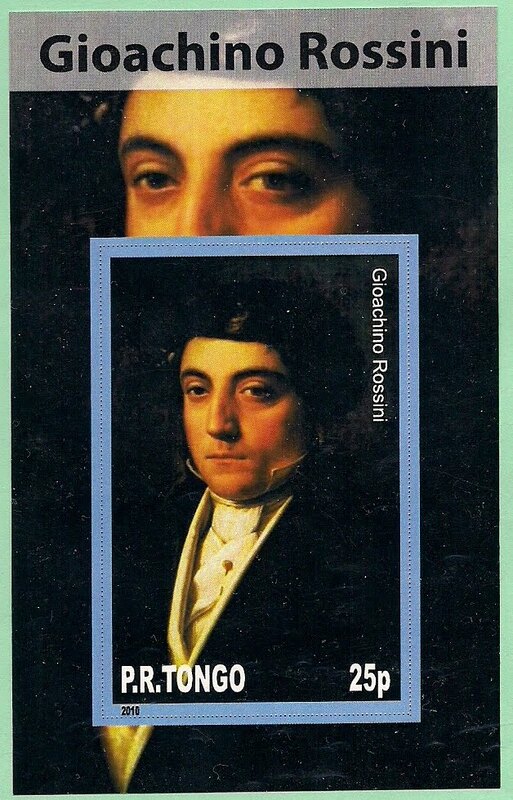 Gioacchino Rossini(1792-1868), Italian operatic composer, studied at the Bolognia Conservatory, composed his first opera as a student there. Since then, he composed more than 20 operas - William Tell, The barber of Seville, etc. Gioachino(Antonio) Rossini(1792-1868), Italian operatic composer, sang in churches and appeared in minor opera roles during his young age, studied at the Accademia filamonica in Bologna. In 1810 his first opera in Venice was a success, and started composed operas exclusively but stopped composing after the age of 40. He composed over 20 operas: L'italiana in Algeria, Aureliano in Palmira, Sigismondo, Il turco in Italia, Elsabetta, regina d'Inghilterra, Otello, Ricciando e Zaraide, Almaviva, La Cenerentola, Il barbiere di Seviglia, Mose in Egitto..... Guillaune Tell, all gaining great sucesses.